The album Smile was meant as the followup to 1966's Pet Sounds but Brian Wilson was unhappy with a good part of the recordings for that project, so the band quickly put together Smiley Smile salvaging only the backing track from Heroes & Villains and the coda from Vegetables from the original Smile sessions. A number of other songs meant for Smile were used but in greatly stripped down versions from how they were originally envisioned. Smiley Smile included the previous hit Good Vibrations and only one other single, Heroes and Villains. On the Billboard 200, it was the lowest charting album of the band's career to-date, peaking at number 41. Wild Honey was recorded after plans were abandoned for a shortened version of Smile and a live album, Lei'd in Hawaii. Once again, two singles were included on the album but neither was a huge hit (Wild Honey (1967 / #31), Darlin' (1967 / #19)). While the album did better on the charts, hitting number 24, it stayed on a shorter time than Smiley Smile and ended up being the band's lowest selling to that time. While the public wasn't overly receptive to either set, critics have been kind over the years and their stature in the Beach Boys canon has grown. 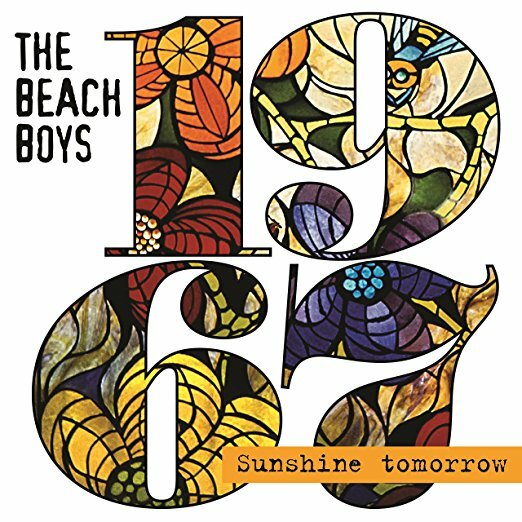 On June 30, Capitol/UMe will release a new two-CD set, 1967: Sunshine Tomorrow, which highlights the two albums including 54 previously unreleased studio snippets and live recordings. Highlighting the set is the first true stereo mix of the Wild Honey album. Both Smiley Smile and Wild Honey were originally released only in mono and processed stereo versions. Smiley Smile had a true stereo edition released in 2012 but this is the first release of a stereo Wild Honey. There is one exception. The closing track from the album, Mama Says, could not be located on the existing 8-track masters so it is presented in mono. While the full Wild Honey album is presented here, Smiley Smile is covered through studio alternative and live tracks.